The Island of Zanzibar is the gem of exotic destinations in Africa, found just off the coast of Tanzania in the Indian Ocean. As a paradise on earth with white sandy beaches, turquoise waters and luscious vegetation, Zanzibar invites you to become one with nature and spend an incredible time learning more about its history or just enjoying its beauty. 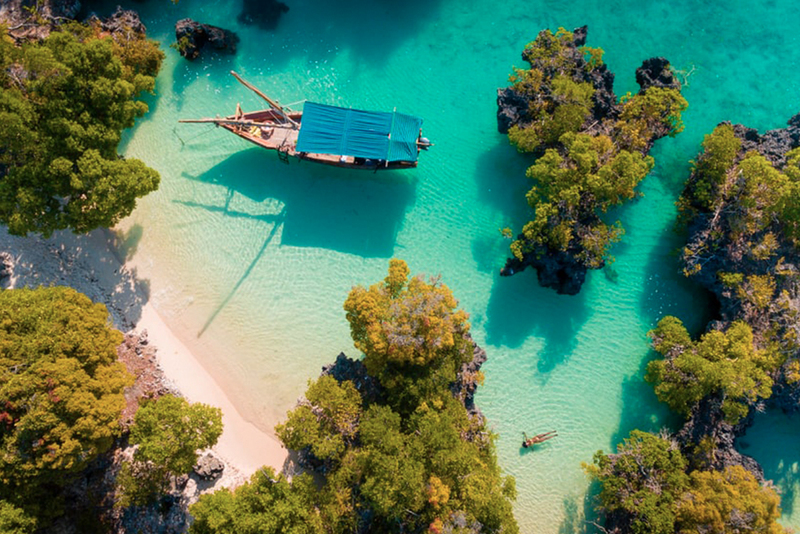 An incredibly popular destination, Zanzibar is invaded yearly by hundreds of thousands of tourists, making it quite difficult to preserve its beauty and pristine waters and shores. In an effort to make a tangible, long-term change in how Africa is sustaining itself, global and local organizations are constantly trying to find out how to create jobs and businesses that are compatible with the necessary efforts of conservation in Zanzibar. One of these conservation projects is the Dolphin Research and Conservation program in Zanzibar. It invites volunteers from all over the world to come and live on the beach and contribute to the ethical marine life tourism, such as assisted dolphin interactions and observation. Volunteers pay a fee that covers their accommodation, three meals a day and all the activities they’ll be doing for Dolphin tourism. Participants learn about sustainable and ethical marine life tour, and are trained to assist tourists in their interactions. Conservation enthusiasts will learn more about applicable, notable work that contributes to the future of Africa and the planet. Swahili culture is promoted and presented by the locals themselves, offering the volunteers an amazing, genuine experience. This deep connection is what slow tourism and ethical tourism should be based on. For the volunteers who fall in love with Zanzibar and want to to discover even more about this tropical island, there are countless activities to deepen the understanding of this land. From historic tours on the spice routes to the lively cultural scene of Zanzibar, this exotic destination is a powerful gate to bringing greater conservation efforts to Africa. Let us help you plan your trip to Zanzibar Island as part of your Tanzania safari or as your destination island vacation.